For GTA-born mechanic Dalton Russell, Ottawa was the promised land of home ownership. “There are so many like myself who have chosen to relocate to Ottawa, in hopes of affording a house and a better quality of life,” says Russell. Russell, 26, made the move in June 2017, and has been on the hunt ever since. Unfortunately, his task could have just gotten a little tougher. With the Bank of Canada’s recent 0.25 percentage point overnight rate increase on Jan. 17 — the third since this summer — Canadians and columnists are debating whether this, not to mention the federal government’s new mortgage stress tests designed to weed out borderline buyers, could make home ownership an even more distant prospect for young Canadians. Understanding monetary policy might seem daunting, but according to Carleton University economics professor Hashmat Khan, the overnight rate is pretty easy to grasp. For most people, that means two things. Their debt, including mortgages, student loans, and credit cards, can become more expensive. But their savings, like bank accounts and government bonds, can produce better returns. In general, when the overnight rate rises, mortgage rates rise. And when mortgage rates increase, especially on expensive houses like those in Canada’s big cities, it can add substantially to the cost of a mortgage, over the whole lifetime of the loan. As for why the Bank of Canada raises interest rates, “ultimately, it’s demand versus supply of goods and services,” says Khan. When things become too scarce, like houses in Vancouver or Toronto, their prices rise, which makes inflation go up. The Bank of Canada wants to keep inflation low, so they increase the overnight rate, making borrowing more expensive, and discouraging consumers from spending money they don’t have. “An overnight rate increase constrains demand for goods and services,” says Khan. Ideally, as people stop buying houses, they become less expensive, and eventually, buying a house is affordable again. The problem with that is real life, says David Macdonald, a senior economist at the Canadian Centre for Policy Alternatives. “One of the big problems with housing bubbles is that they rarely deflate in an orderly fashion,” he says, adding that even if houses become cheaper, they won’t necessarily become more affordable. “Often prices decrease in the exact same proportion to the increase in interest rates, so your monthly payment stays the same even if housing prices are cheaper,” says Macdonald. Luckily for homebuyers like Dalton Russell, Ottawa is not like Toronto and Vancouver. “Ottawa’s market has always been very stable,” says Khan. Central Ottawa real estate broker Daria Kark says the city’s residents tend to be on the conservative side. “If the mortgage company will lend them a million dollars, they’ll only spend eight hundred thousand.” This, plus a surfeit of stable government jobs, makes Ottawa’s market relatively calm and predictable, and if it deflates, more likely to deflate gently. But Kark says she hasn’t seen the rate hikes slowing Ottawa’s market yet. “No one’s dropped off my buyer list. People are still calling, and none of my first-time buyers have said they can no longer afford to buy,” says Kark. Overall, when it comes to whether the rate increase was a good idea, Khan says he’s positive, Macdonald says he’s negative, and Kark says she’s neutral. “If you look at consumer debt in Canada, it’s even higher than at the peak of the U.S. financial crisis,” says Khan. He’s hoping the overnight rate hikes will have a “signalling effect”, helping temper household budgets by encouraging Canadians to reign in frivolous spending and avoid new debt. Macdonald, however, is worried about wages. “If you increase interest rates more, businesses will invest less (due to higher borrowing costs), which means you’ll have less employment and less wage growth,” says Macdonald. Although the unemployment rate is low — one factor the Bank of Canada used to justify the rate hike — Macdonald says the increase in precarious work means that while Canadians are working a lot, many are still taking home small paycheques, afraid to ask for a raise lest their contract be terminated. Kark, on the other hand, says journalists are getting “overhyped” over a tiny quarter percentage point jump. “Even back when rates were around the 15 per cent mark, people were still able to buy homes,” says Kark. Of course, when rates were around 15 per cent in the 1980s, housing prices were far lower. Adjusted for inflation, the average home in Toronto cost $450,000 by the end of the 1980s, compared to the 2017 average of $822,000, according to the Toronto Real Estate Board. With interest rates and housing prices inching higher, not to mention new stress tests that came into effect at the start of 2018, prospective home buyers may have to set their sights on less expensive homes. As for Dalton Russell, he says it’ll be tough to afford a house, but he’s prepared. “I’m currently working my day job, and an overnight job at a home improvement store leaving me about six hours to sleep a day,” says Russell, “But I’m not overly worried.” Russell makes sure he can afford five per cent interest on any home he looks at, even though most banks’ rates are still hovering around three per cent. All homebuyers will need to put down a certain minimum amount for their down payment. For houses of $500,000 or less, this could be just five per cent of the house’s purchase price. But for houses over one million dollars, buyers will have to put down 20 per cent. What’s more: self-employed buyers and buyers with poor credit history may have to put up even more than 20 per cent. More detail is available on the federal government’s website. Buyers will have to qualify for the Bank of Canada’s “benchmark” interest rate, or their contract interest rate plus two percentage points — whichever’s higher. 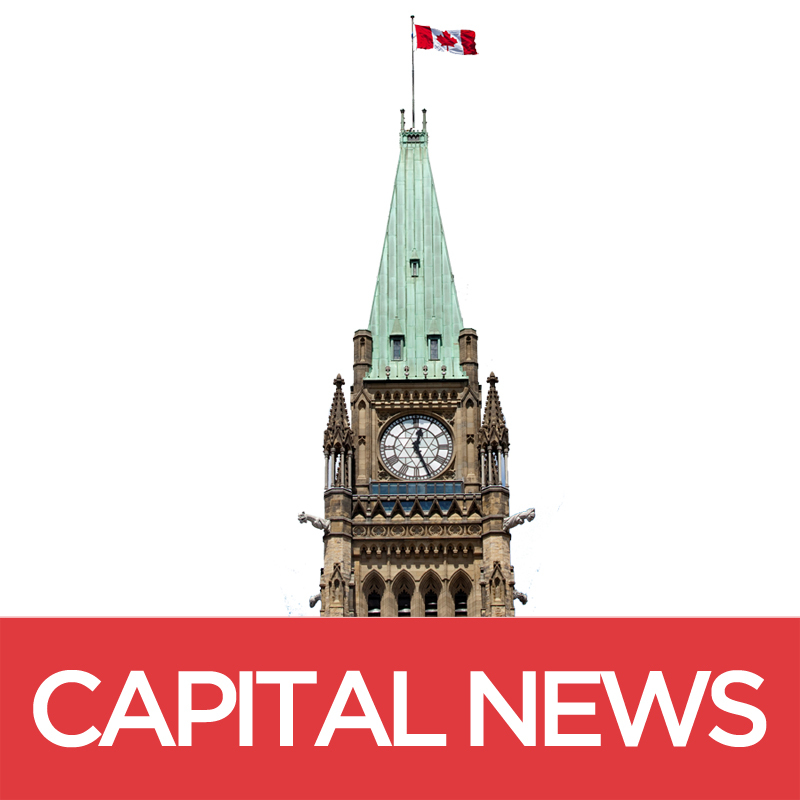 The Bank of Canada’s benchmark rate was at 5.14 per cent as of Jan. 31 (https://www.bankofcanada.ca/rates/daily-digest/). Buyers who put down less than 20 per cent, and buyers who are self-employed or with a poor credit history, have to buy Mortgage Loan Insurance. The cost depends on how big your down payment is, but can be as high as another 4.5 per cent. Estimates can be accessed via CMHC. Buyers will be barred from spending more than 32 per cent of their monthly income on housing, including mortgage payments, utilities, and taxes. As well, people who will owe more than 44 per cent of their annual income to debt payments such as auto loans, student loans, credit cards, and the mortgage on the home they intend to buy, will be denied a mortgage.